Price listed is for two stamped brass charms. 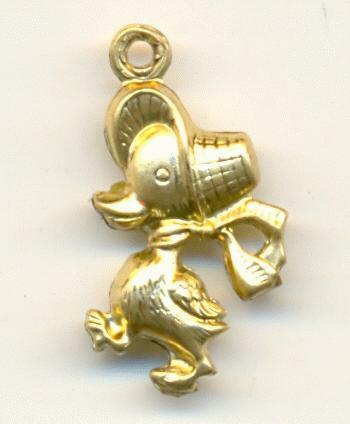 These are 18mm by 10mm hollow brass duck charms. They have a single loop at the top. The measurement includes the loop.